See what's new and coming soon to WGT! Compete in the first ever Virtual U.S. Amateur, starting Aug 1! 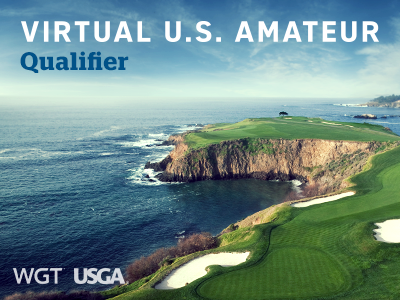 In continued collaboration with USGA, we're hosting a special new tournament, featuring a qualifying round (similar to the Virtual U.S. Open that you already know and love), followed by an all-new Championship Bracket round for the top leaderboard finishers. The Virtual U.S. Amateur Qualifier begins Aug 1, where you can compete to post your best score. The top 32 scores will qualify and be placed into two 16-player brackets for the Championship round. These qualifiers will compete head-to-head until there are two finalists remaining, who will get a trip to Topgolf Atlanta where they will compete in a live head-to-head match for the grand prize and title of the first Virtual U.S. Amateur Champion. 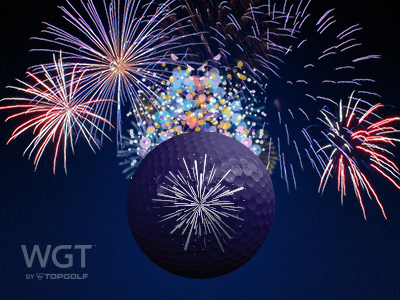 We're celebrating "Wish Month" this month in support of Make-A-Wish with all new golf balls and ball effects, featuring a blue, starry vapor trail! You can help Make-A-Wish grant more wishes by purchasing these limited edition items throughout August. 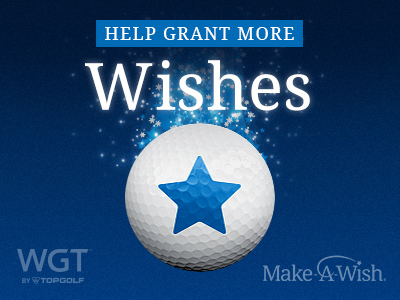 WGT will donate $1 for every sleeve of these virtual golf balls or set of ball effects sold. 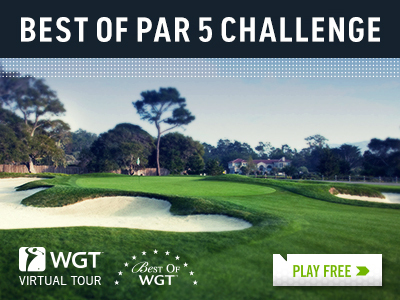 Compete in the Best of Par 5 Challenge tournament this month as part of the 2018 WGT Virtual Tour and post your first round score by 8/26 to qualify for the final round. The top 70 combined scores in each Pro-Champion tier splitting the total purse prize of 100,000 WGT Credits, plus the winning players in each Pro-Champion tier will display a new "reigning champion" icon next to their player name through the following month. Transaction History - Fixed an issue that wasn't allowing players to view their transactions... Sorry about that! For 24 hours only, drivers are 20% off in the Pro Shop! 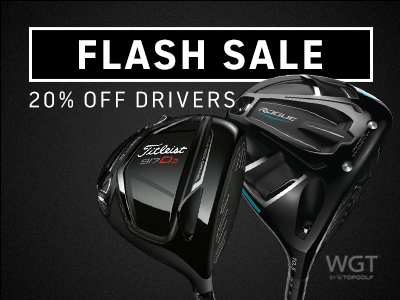 Take advantage of today's flash sale by logging on to WGT Golf Mobile to buy any virtual driver (up to Level 80) for 20% off the regular price. Next level distance and accuracy, for fewer credits – but only for a limited time! *This special offer applies to all virtual drivers up to Level 80, and is available for 24 hours starting 7/31/18 at 5:00 AM PT. Only on WGT Golf Mobile (iOS, Android and Amazon). Compete now through Fri, 7/27 with your country club for a chance to win these bowling pin tee markers and flags! Play CC Event #78 this week to win these tees and flags as well as other in-game rewards, like Course Builder currency for the top 500 clubs to create custom courses. CC Event #78 runs 7/26-7/27 with multiple 4-hour Clashes, so be sure to play as many games as you can for your club and keep your eyes on the leaderboard. Here's how it works: Each event is made up of Club Clashes that last for a limited amount of time (usually a few hours). 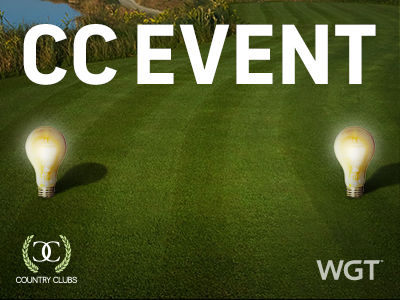 When your club enters the event, you'll be matched with a club at a similar skill level. Start playing! A timer will show how much time is left in that Clash. Club members from both sides can play as many rounds as they'd like during that time using Club Passes and Superpasses to earn points. 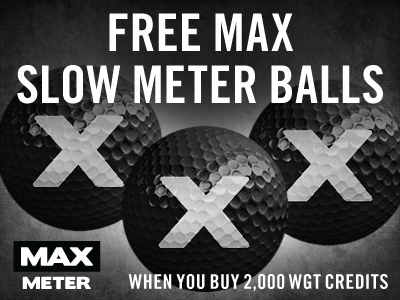 Get 3 free MAX Slow Meter balls today when you buy 2,000 or more WGT Credits! A slower swing meter makes it easier to hit the ding on all your shots…and better shots mean lower scores. Now through Friday, 7/27 we’ll give you 3 free MAX Slow Meter virtual golf balls when you buy 2,000 or more WGT Credits in the game. Use your WGT Credits to upgrade your virtual equipment and compete in paid games for prizes. Note, the free MAX virtual golf balls will automatically be added to your inventory but not automatically equipped. To use them, just open your Equipment and equip the new MAX balls from your inventory. Special offer for players who buy 2,000 or more WGT Credits today through tomorrow (7/26/18-7/27/18), receive 3 free MAX Slow Meter (Hack+) virtual golf balls. Offer valid on ONE 2,000 or more WGT Credits purchase only. It's a WGT flash sale! 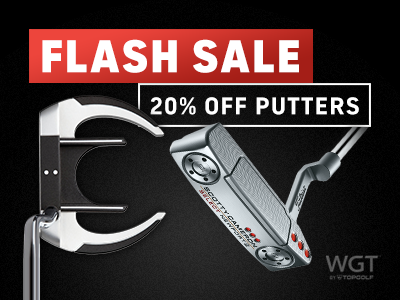 Right now, all putters are 20% off in the WGT Pro Shop. For 24 hours only, log on to WGT Golf Mobile to buy any virtual putter (under 400,000 credits 😉) for 20% off its regular price. *This special offer is available for 24 hours starting 7/19/18 at 8:00 AM PT, only available on WGT Golf Mobile (iOS, Android and Amazon)...and excludes the MAX CC Putter. Compete now through Fri, 7/20 in CC Event #77 for your chance to win these light bulb tee markers and flags. Play with your WGT Country Club to win these and other in-game rewards like Course Builder currency for the top 500 clubs to create custom courses. 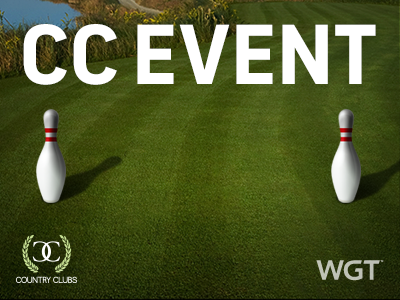 CC Event #77 runs 7/19-7/20 with multiple 4-hour Clashes, so be sure to play as many games as you can for your club and keep your eyes on the leaderboard. 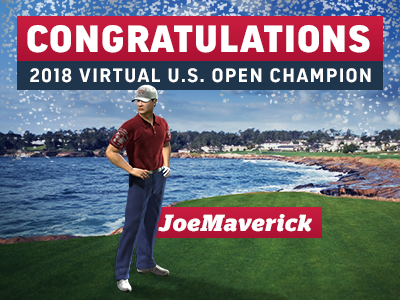 JoeMaverick is your 2018 Virtual U.S. Open Champion! Congratulations to this year's Virtual U.S. Open Champion... JoeMaverick from Belgium. A final round score of 222 put Champion tier JoeMaverick at the top of the leaderboard, 2 shots ahead of second place BrockBryn (USA) and 3 ahead of third place Naturali (USA). This win makes JoeMaverick a back-to-back Virtual U.S. Open Champion after winning last year on Erin Hills. While he's ineligible to claim the grand prize trip due to country restrictions, he's receiving a coveted gold MAX CC Putter to celebrate his achievement! JoeMaverick is in good company with Champion tier poldimaier, who was our last back-to-back champion, after winning the 2014 and 2015 tournaments. It's the 4th of July holiday in the USA, so we're celebrating by giving everyone that logs in a free Fireworks Ball Effect today, 7/4. This ball effect makes every shot celebration-worthy, adding a sparkling vapor trail to any virtual golf ball you have equipped. *Special offer for WGT players who log in and play WGT on 7/4/18, get Fireworks Ball Effect (50 hits) free.